I have a UPS to supply my NAS and I also use it to power my ADSL modem. In blackouts, I can still connect to the internet for about an hour, and few blackouts are that long. When I change to FTTN/VDSL2 will a UPS to the new modem still keep the connection to the internet or will that be lost regardless of a UPS at my end? Depends if the node is connected to the same power your house is. Landline phone and internet services won’t work if there is a power outage either within the FTTN network or within your premises. 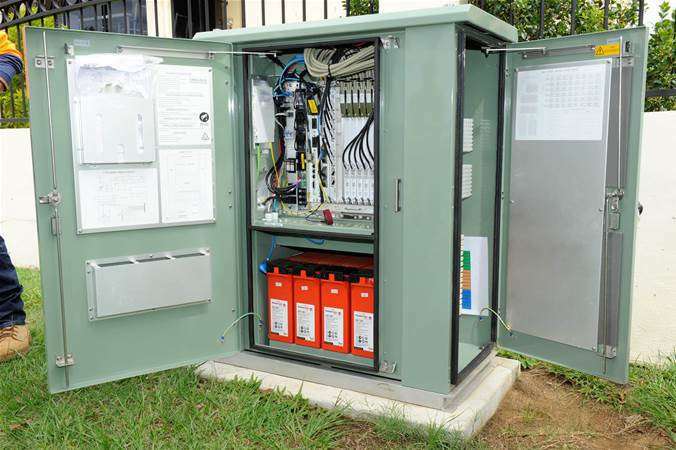 Restoring power to your premises with an alternative power option will have no effect if the FTTN network is also experiencing power loss. You should consider keeping a charged mobile phone in case there is a power outage of any sort. The Node has batteries that can keep it running for ~5hr. It seems that in some circumstances I will be able to retain internet access. I will keep the UPS going because I will at least have access to the NAS from other computers. The mobile and powerpack will keep me going for a day. I will turn off Location services and Bluetooth to conserve battery if there is a power outage. I can make the mobile a hotspot, but then have to be careful any laptops do not do massive background downloads.